After stopping by to pay for the mourning apparel Evelina had picked up in Boston, Ann Swain sent Evelina two pecks of quinces to further thank her for her kindness. This thoughtful gesture may have distracted Evelina from her ongoing annoyance at her daughter’s “dull” piano playing. Susan had not yet learned her scales. At night, Evelina and Oakes, and perhaps other family members, “passed the evening” next door at Oliver Ames Jr’s. The third of Old Oliver’s eight children, Oliver Jr. had originally been the brother who tinkered with the possibility of a career away from the shovel factory. In his teens, he suffered a “severe fall,”**** and was unable to work. He was sent to the Franklin Academy in North Andover after which he began to read law with William Baylies, Esq., of West Bridgewater. Reading and debating – good lawyering skills, both – had always been sources of pleasure for Oliver, but “[t]he confinement of office proving unfavorable to his health, together with the increasing demands of business at home,”**** he returned to North Easton. 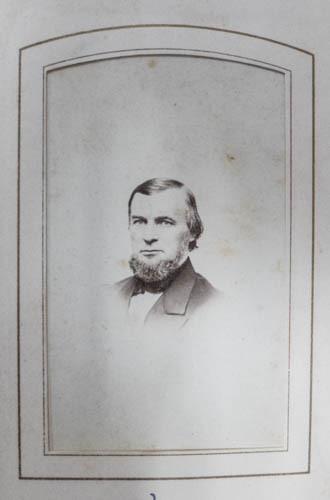 In 1833, he married Sarah Lothrop, the daughter of the Honorable Howard Lothrop and Sally Williams Lothrop. They had two children, Frederick Lothrop and Helen Angier Ames. Relative to his brother, Oakes, Oliver Jr was reckoned to be “pretty dignified, and takes a good deal after his father, but Oakes is always ‘hail fellow well met.”** Another contemporary acquaintance of both men said simply that Oliver Jr. was “the conservative one.”***They made a good business pair. Over time, Oliver Jr. and Oakes, under the watchful eye of their father, turned the shovel shops into an industrial powerhouse, even as they groomed the next generation, Oakes Angier, Oliver (3) and Fred, to take over when the time was right. They invested in technological improvements and hired more help, especially from the newly arrived Irish population. They improved supply and delivery; in 1855, Oliver Jr. helped create the Easton Branch Railroad spur from Stoughton to North Easton. In 1863, he oversaw the creation of a railroad line through the Great Cedar Swamp to Raynham. His interest in railroads led him to join his brother in the plan to build a transcontinental railroad when Oakes, by that time a U. S. Congressman, was tapped by Lincoln to lead the way. ****William Chaffin, History of Easton, Massachusetts, 1886, p. 655.